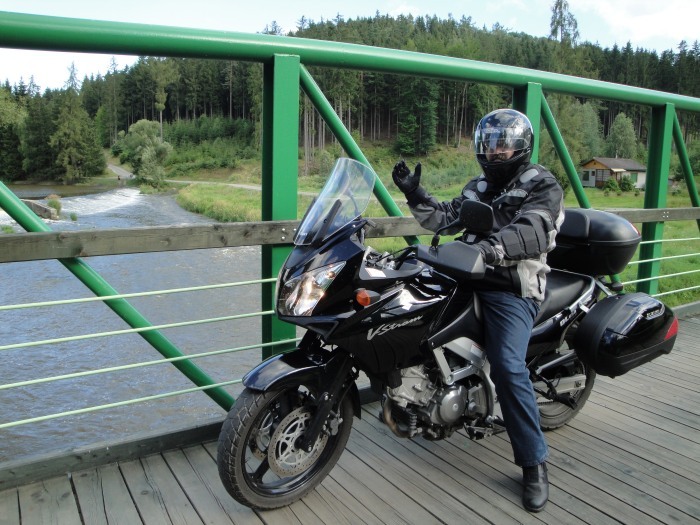 Since 2008 Fanda and Iva have their new hobby - motorbike. 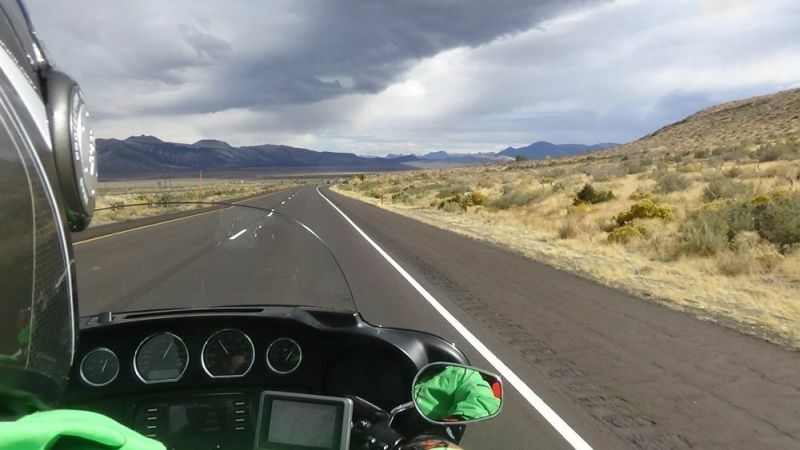 We make trips on short as well as long distances. 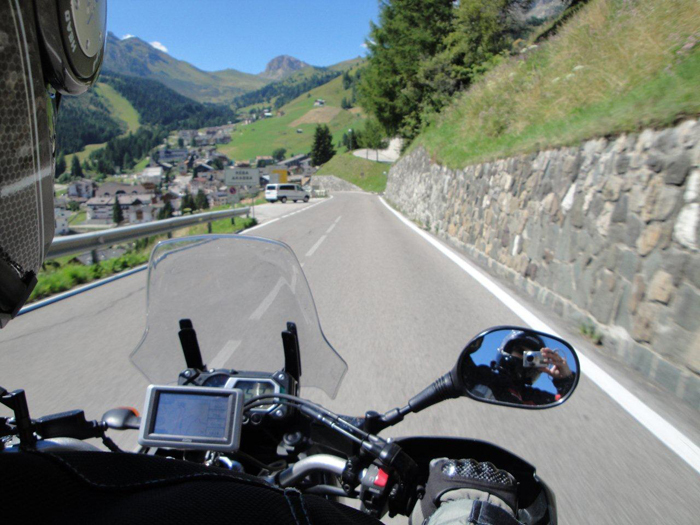 The world seems to be much interesting, when you ride a bike. 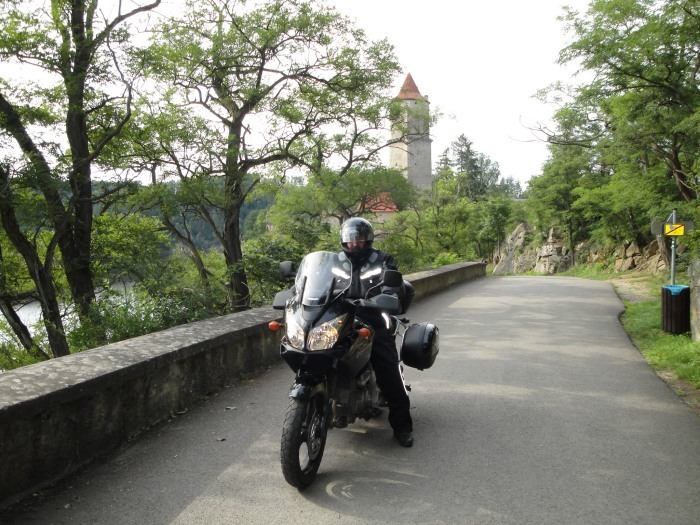 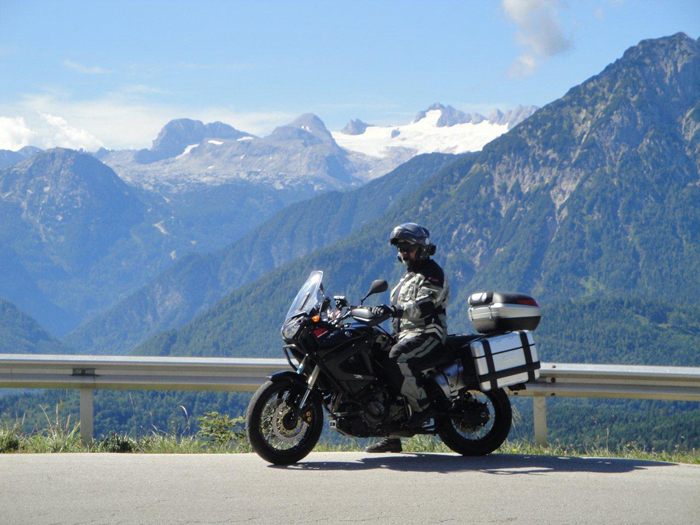 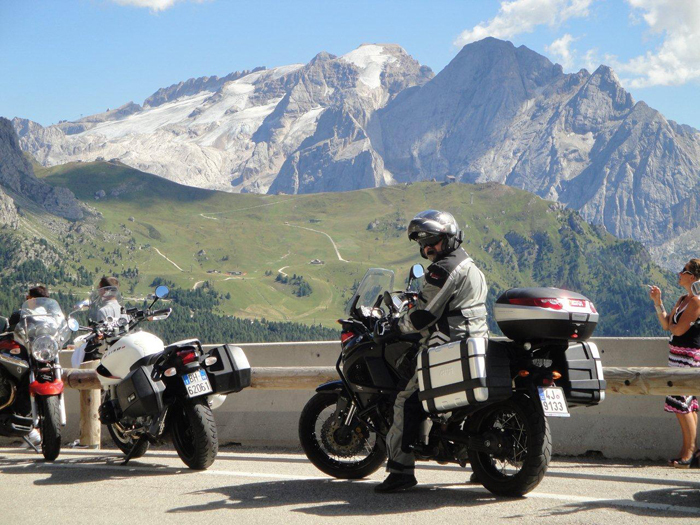 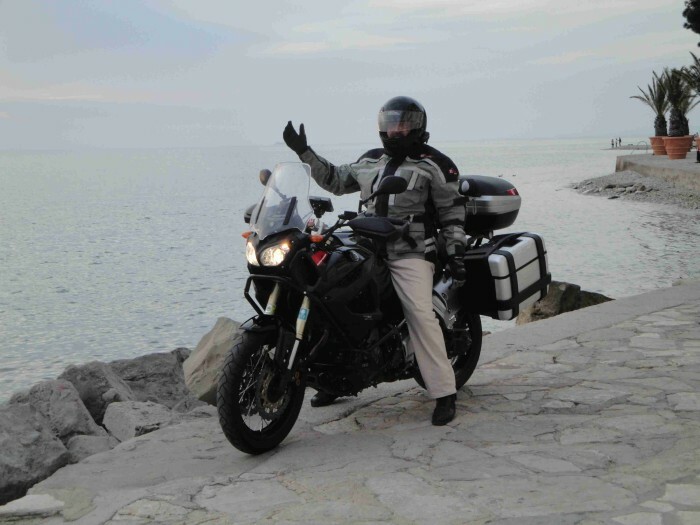 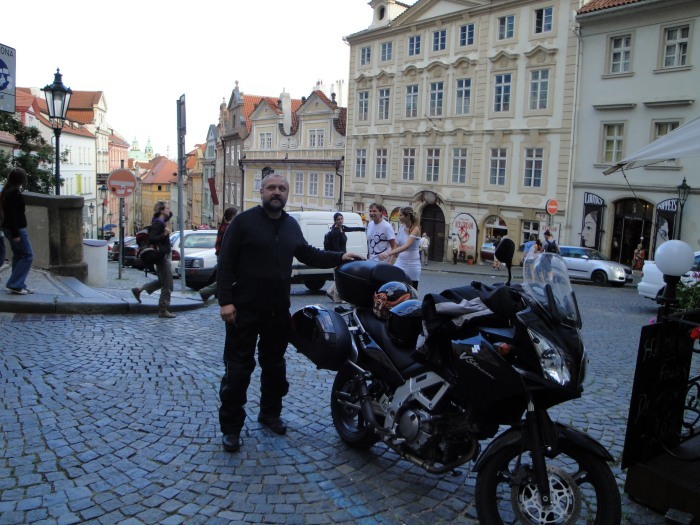 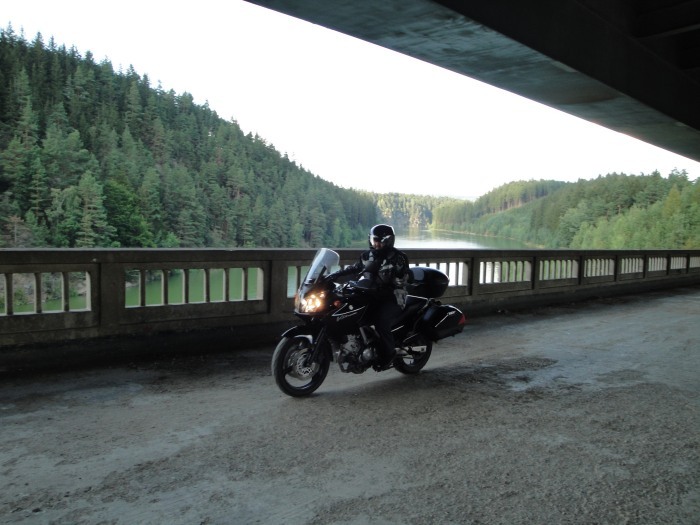 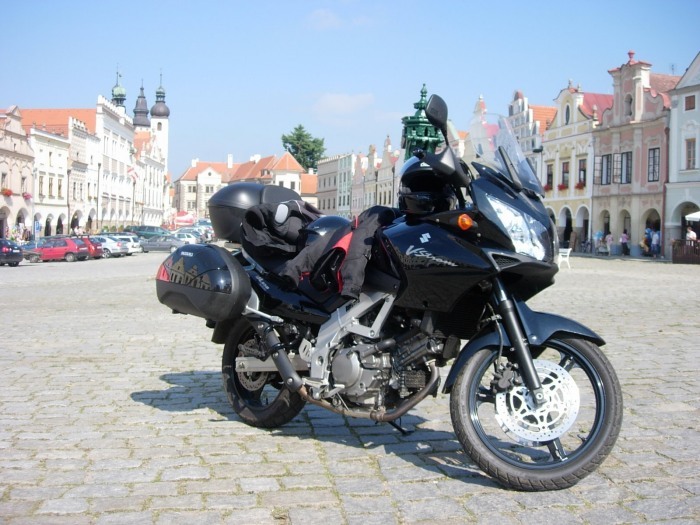 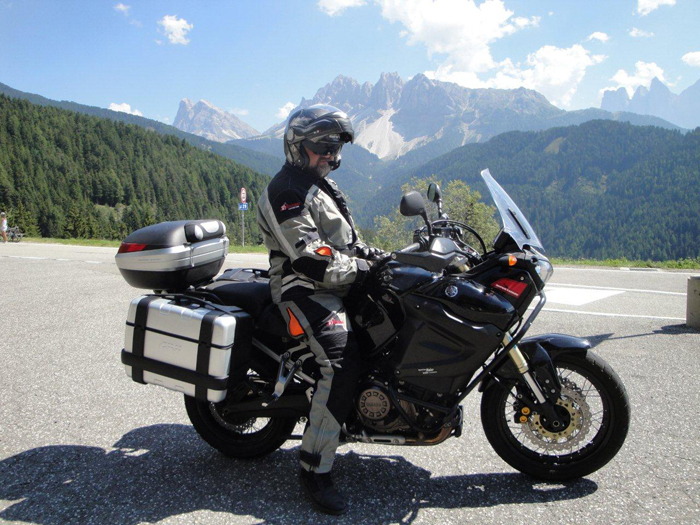 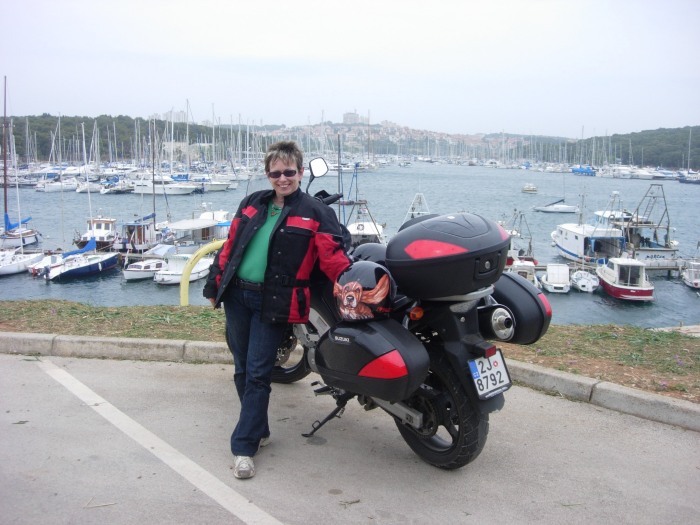 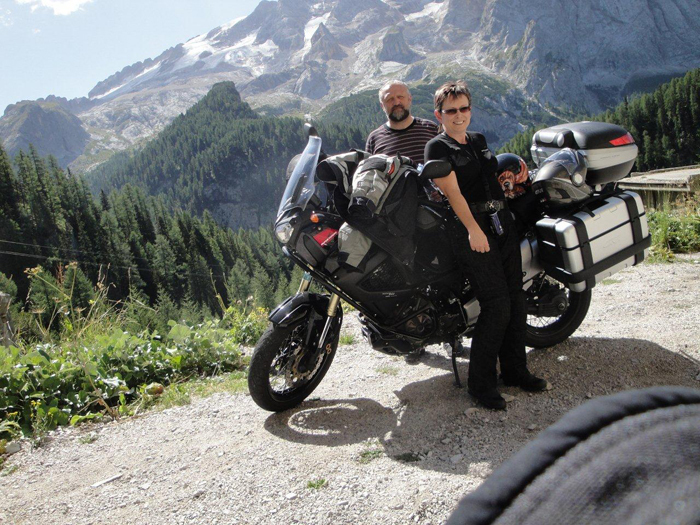 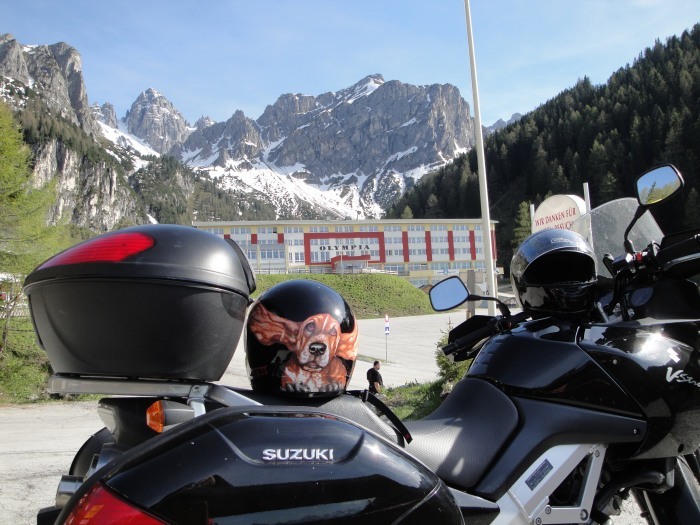 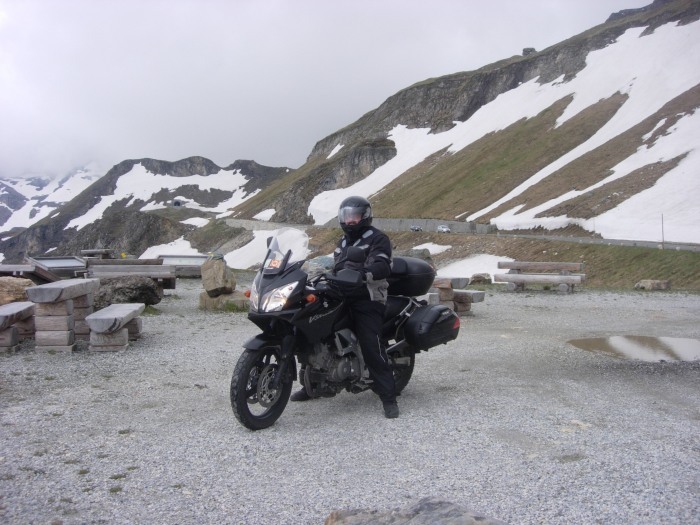 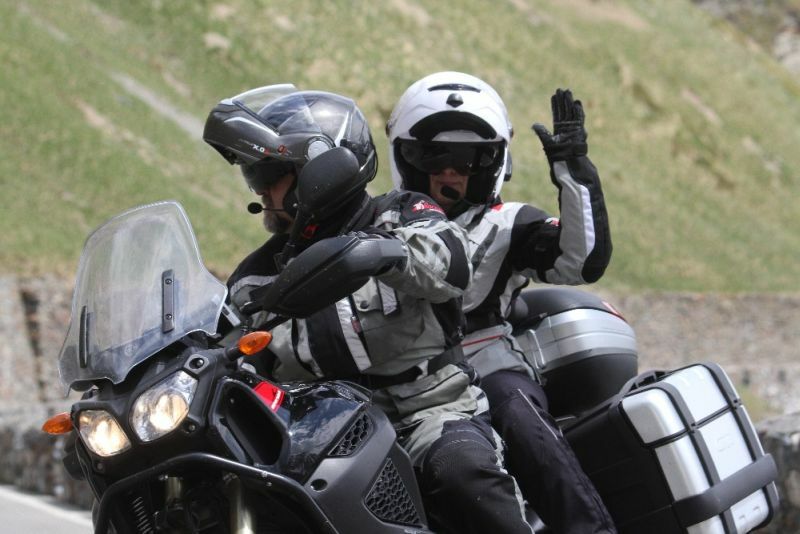 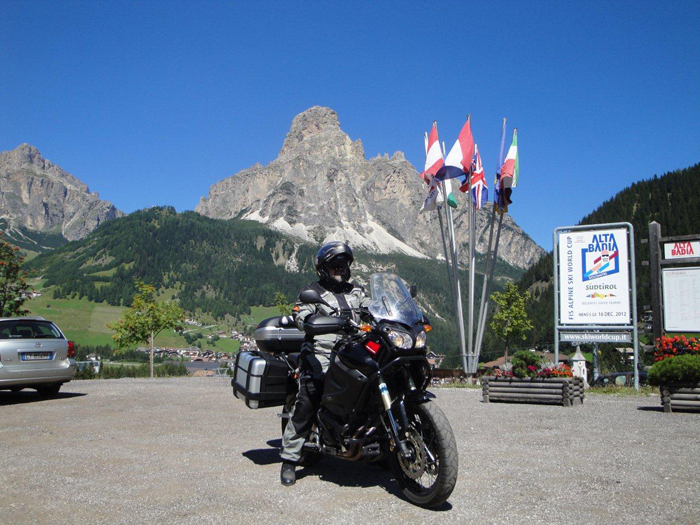 On our Suzuki Strom 650 we travelled very far away – Istria, Lago di Garda, Grossglockner, dannish Jutland. 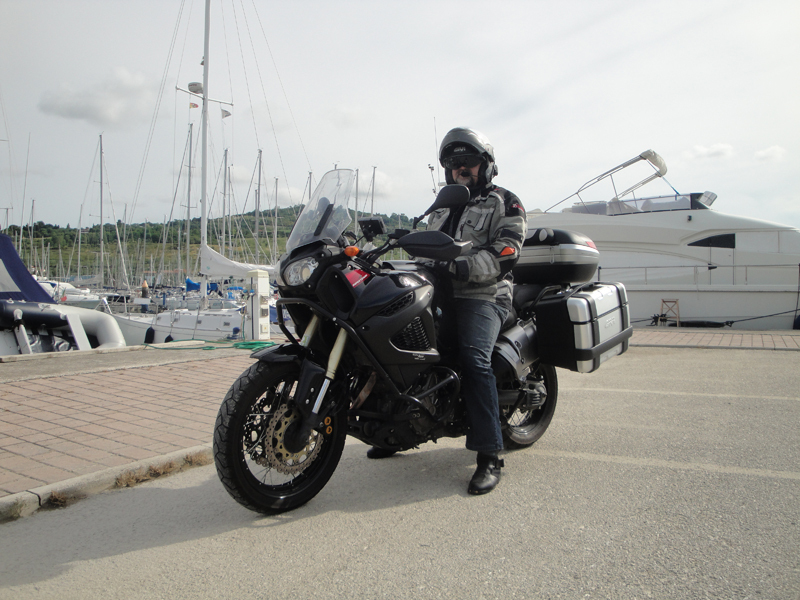 In Spring 2012 Fanda made one of his dreams come true and he bough a new motorbike, Yamaha Super Ténére 1200, for his life jubileum. 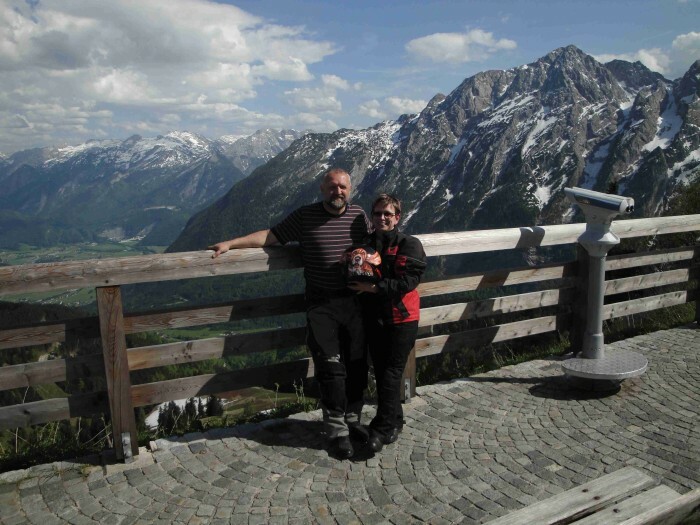 The same year we made our holiday trips to Slovenian Istria, austrian Salzkammer and south Tyrolia - Dolomiti mountains. 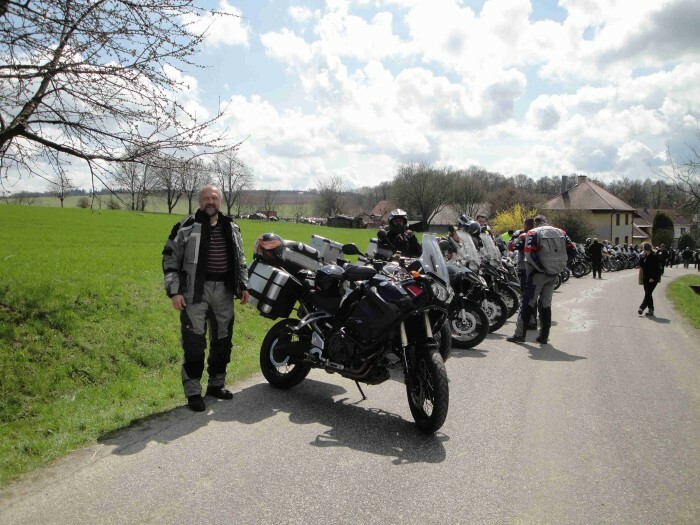 We were twice in Berchtesgadener Land and we don´t miss any ocassion we can ride our bike. 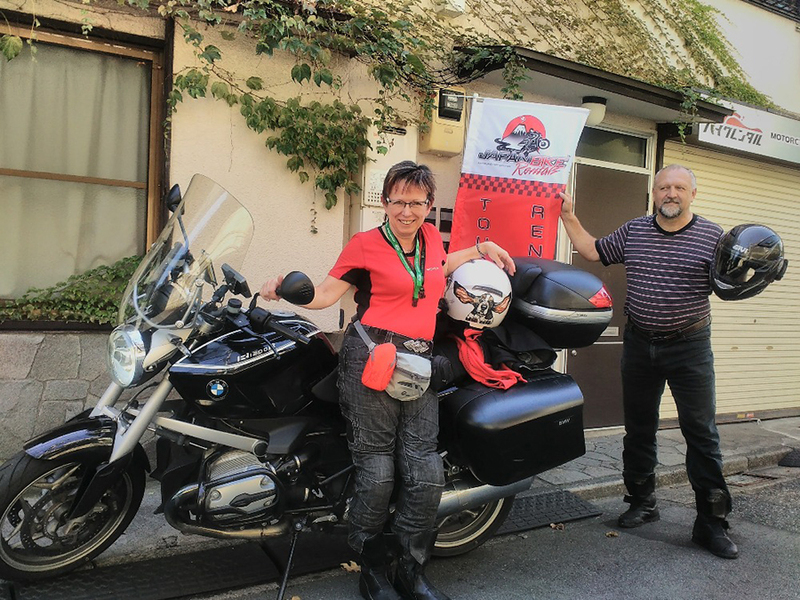 In 2014 we have made a long journey to Italy, Ancona, where Iva judged club and national shows - we have driven 2300 km long distance for this long-weekend trip. 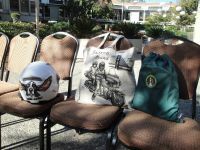 We can not take our Basets with us, so we are accompanied by one on Iva´s helmet. 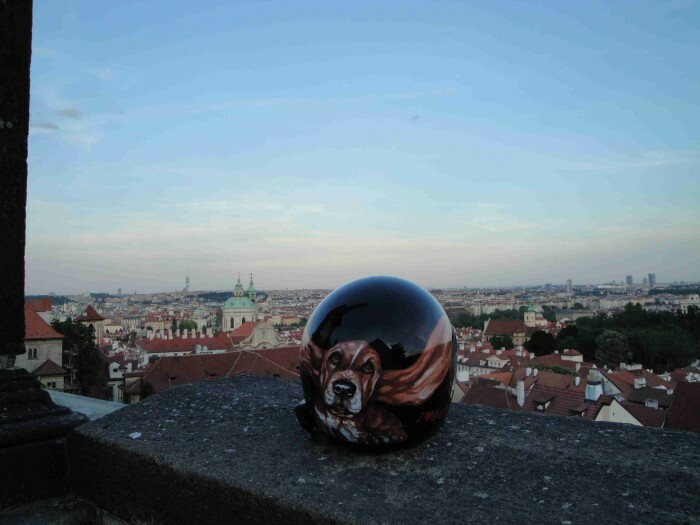 We have asked the artist Marta Mastná to make a nice Basset portrait on the helmet. 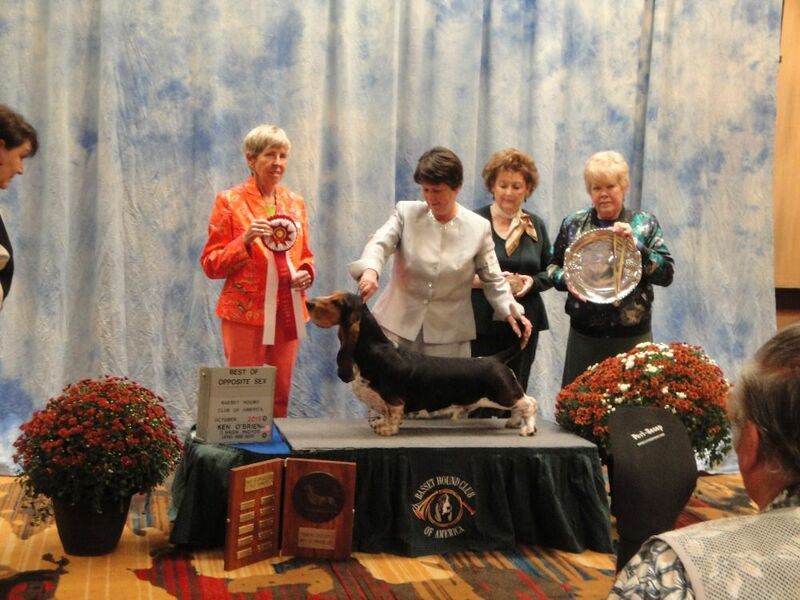 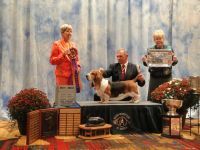 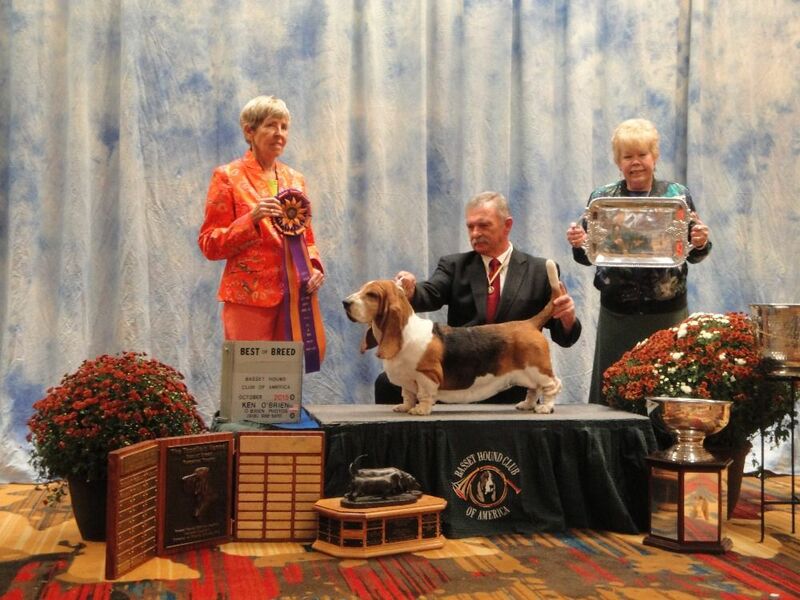 She worked it out with excellent result - look at it: It is a beautifull riding Basset! 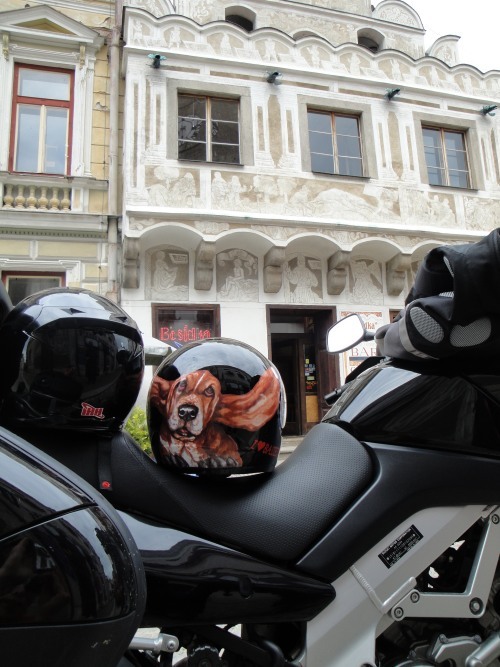 In 2014 Marta made a new design on a new helmet - Ynes head was on the old helmet, and now black head of Billie appears on the new helmet of Iva. 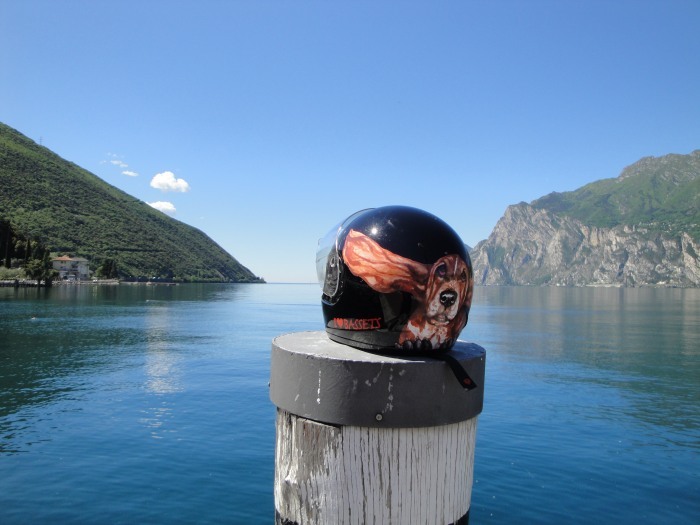 This helmet was with us on moto-trips to Australia, Alps, Balcan and whenever we went for holidays by bike. 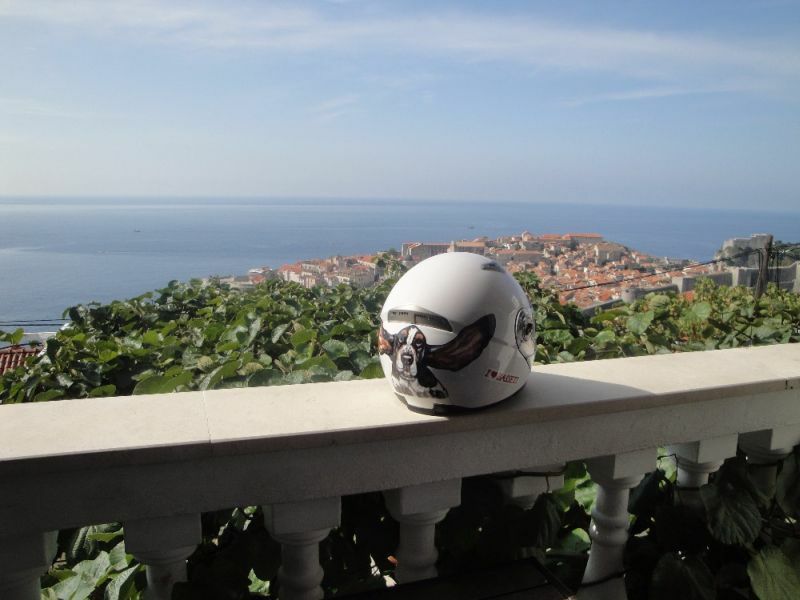 We can not imagine having a holidays without our bike anymore. 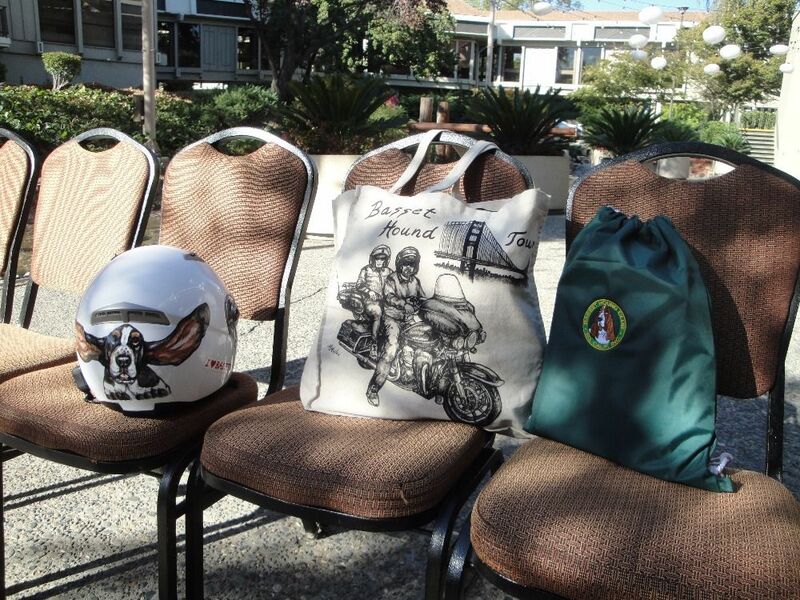 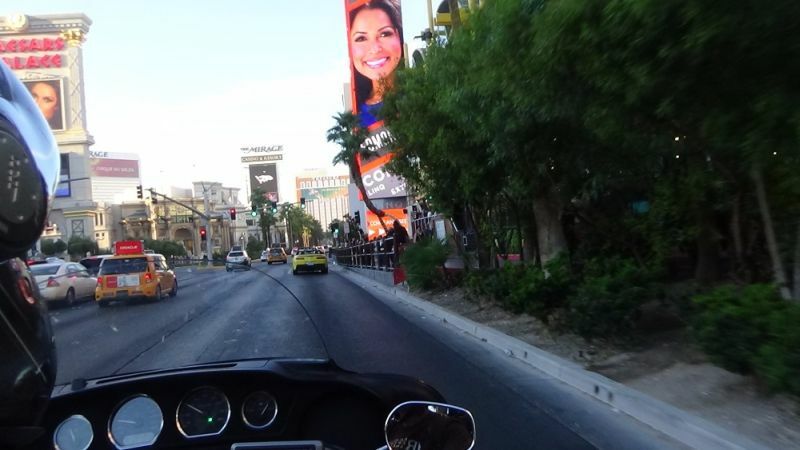 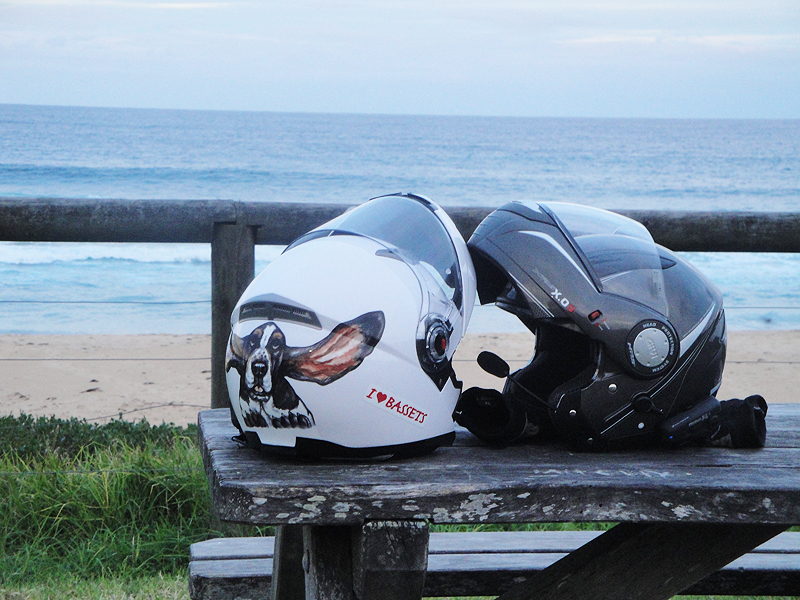 We have enjoyed to ride a motorbike also oversea. 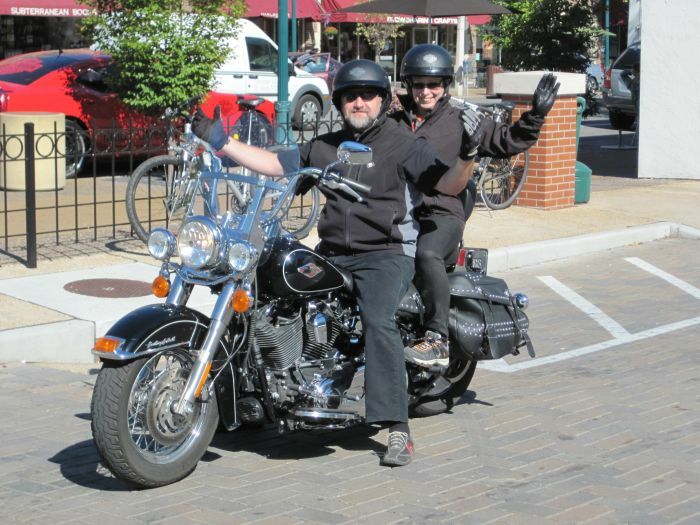 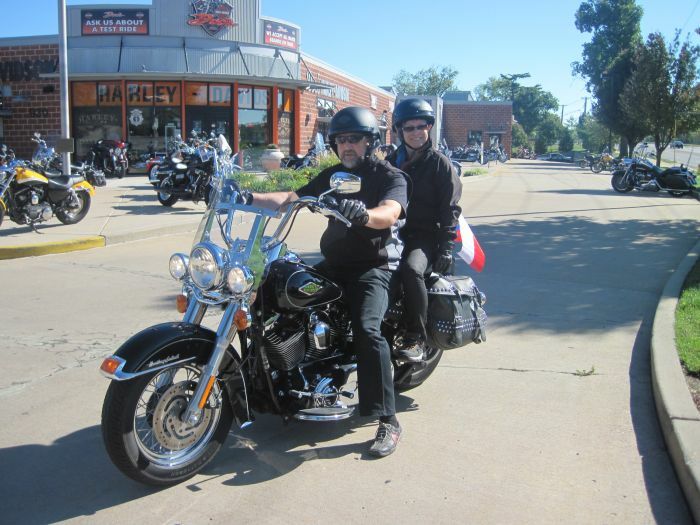 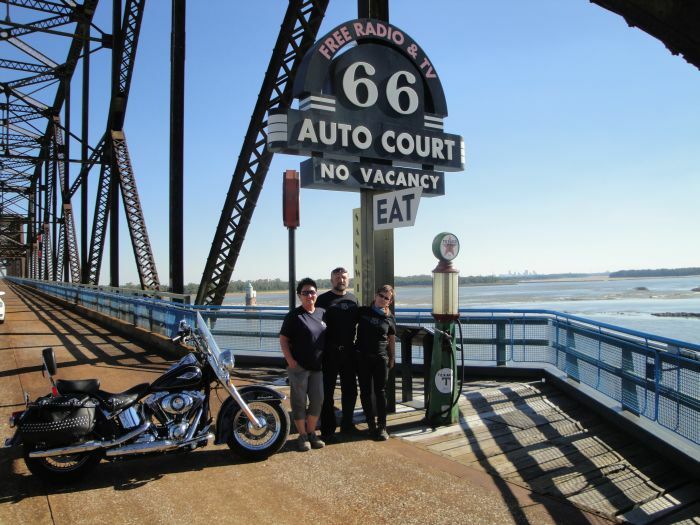 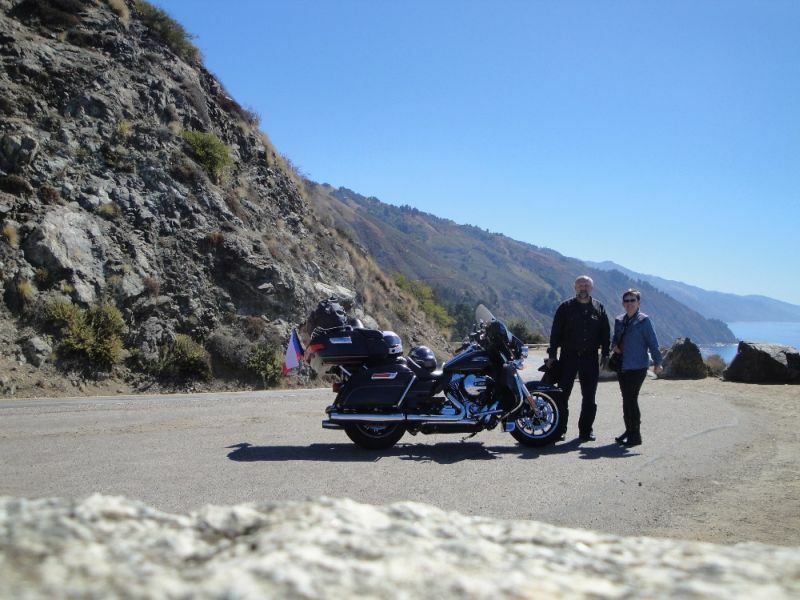 On our big journey in USA in October 2013 we have rented an american vintage - Harley Davidson Heritage Softtail- just for one day. 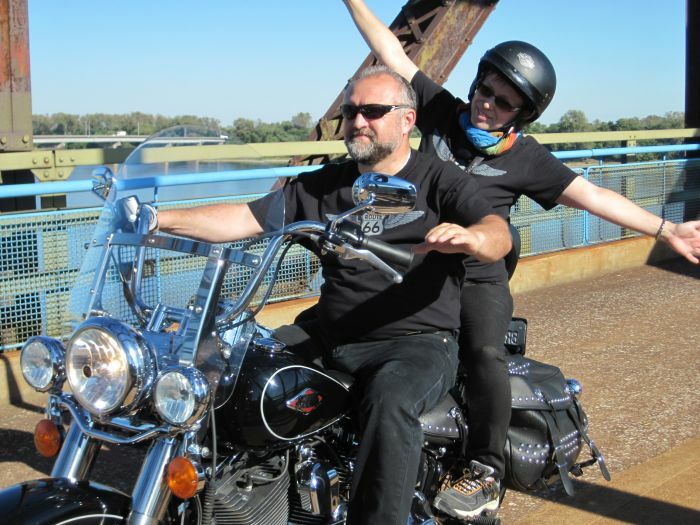 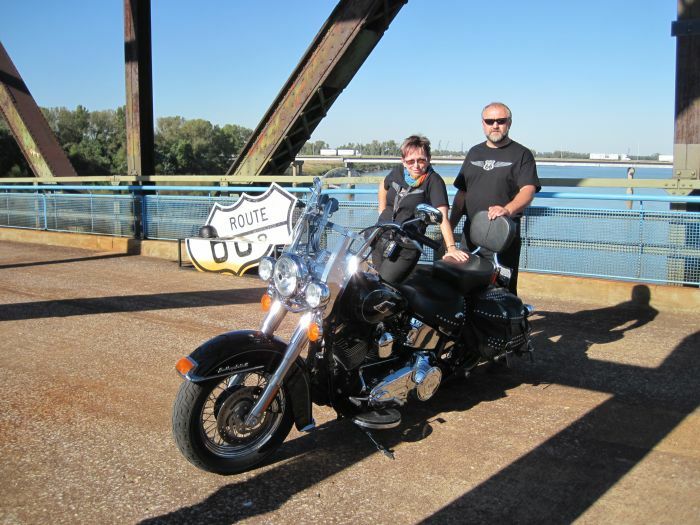 It was in St.Louis- and we have amazing memories from riding on Old Chain of Rock Bridge, normally closed for vehicles, ocassionaly opened for special travellers on Route 66. 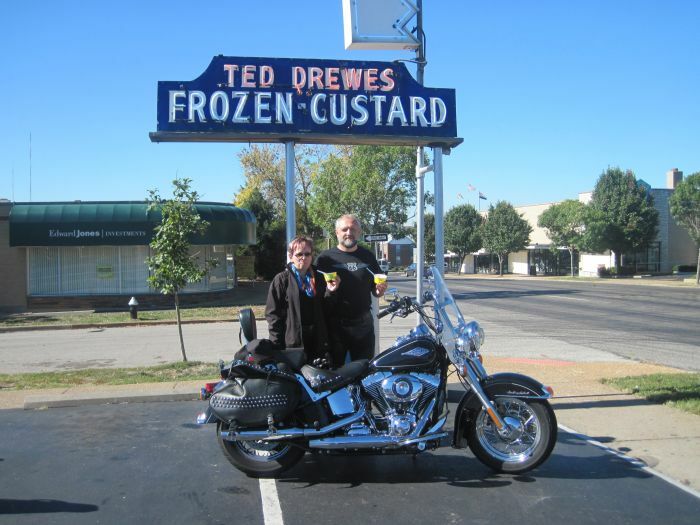 We just came in right time on right place! 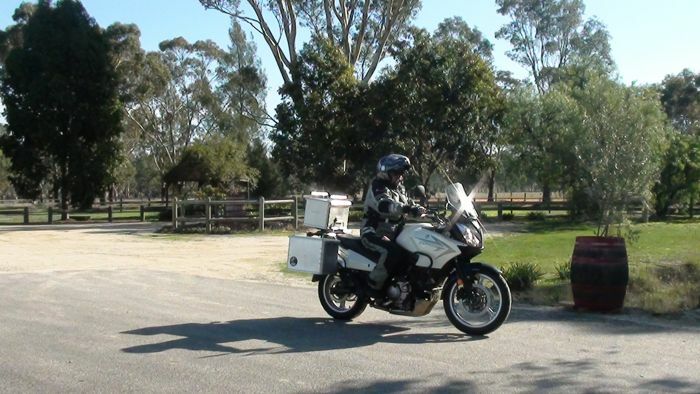 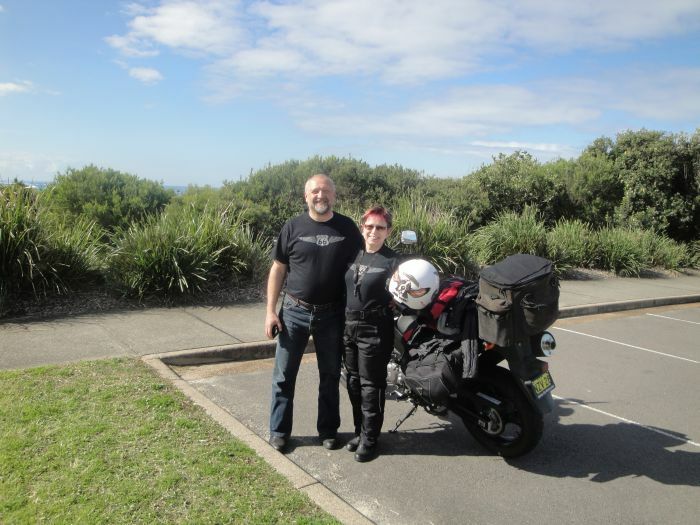 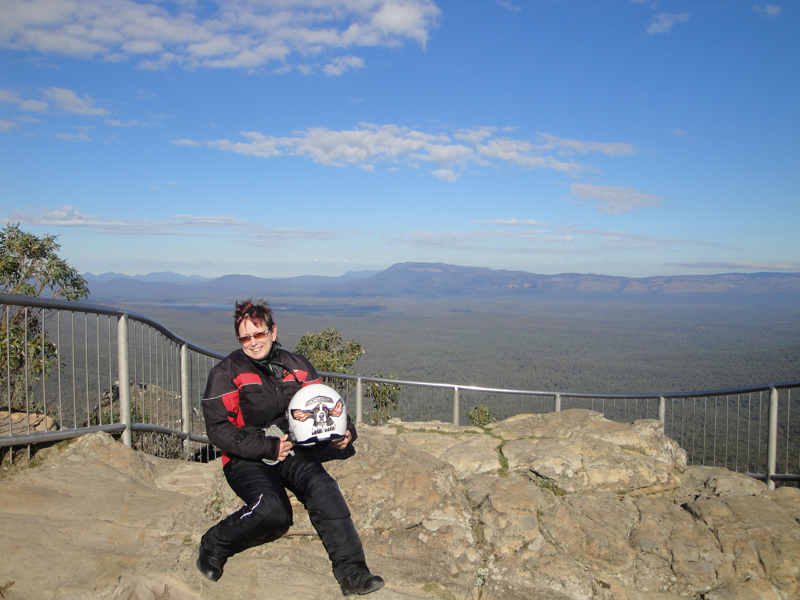 Our best riding memories are from our holiday in Australia in May 2014. 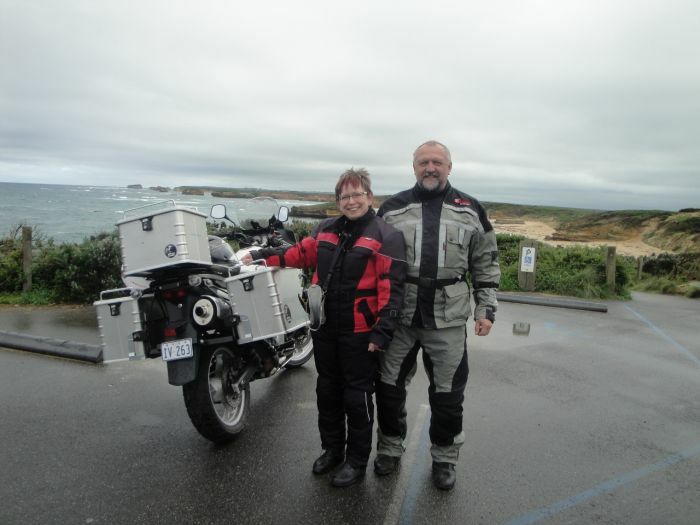 We have rented a motorbike even twice. 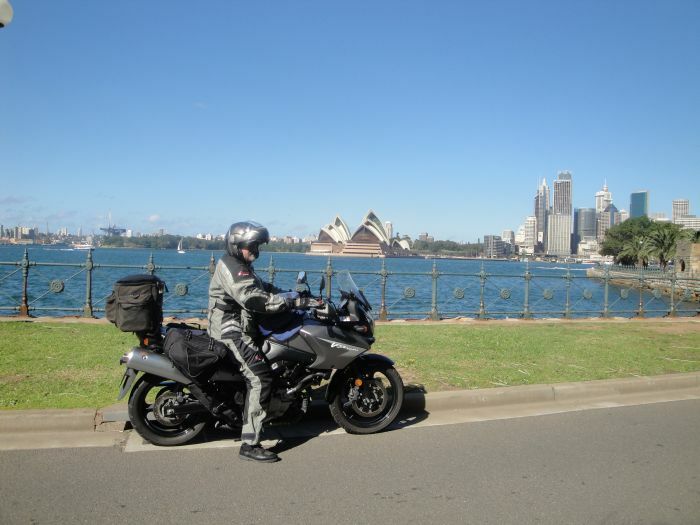 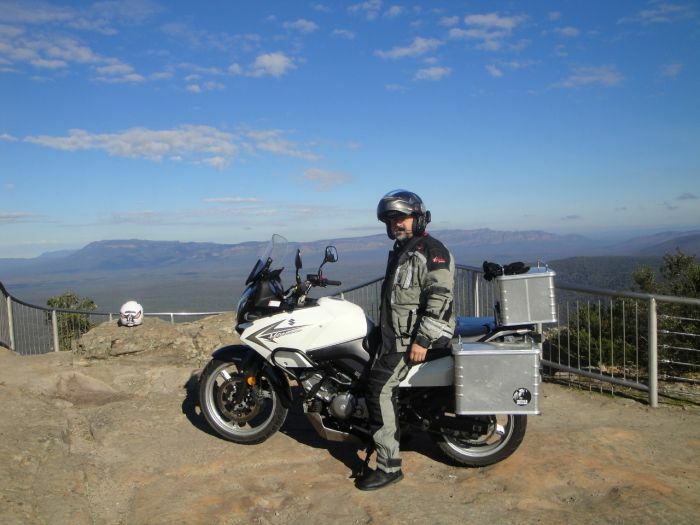 In Sydney to ride Central Coast, and later in Melbourne for trip to Great Ocean Road, The Grampians and Black Spur. 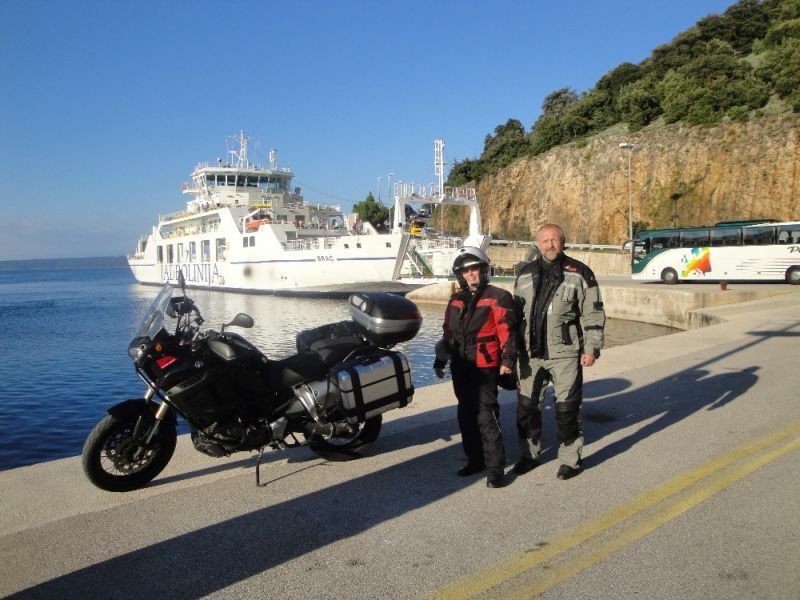 We have made 2thousand km all together on bike. 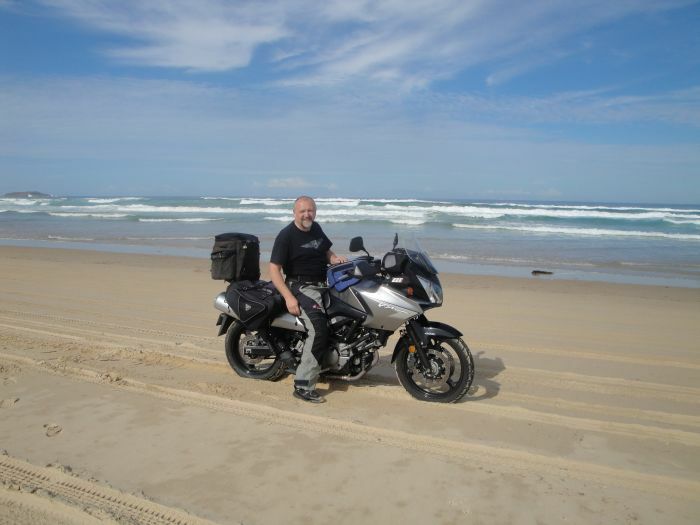 Ot was Suzuki V-Strom 650 in both cases and we have to say, that we had no problem with the bike, even on Samurai Beach, which is considered to be acessed only on 4W-drive vehicles becuase of deep dunes. 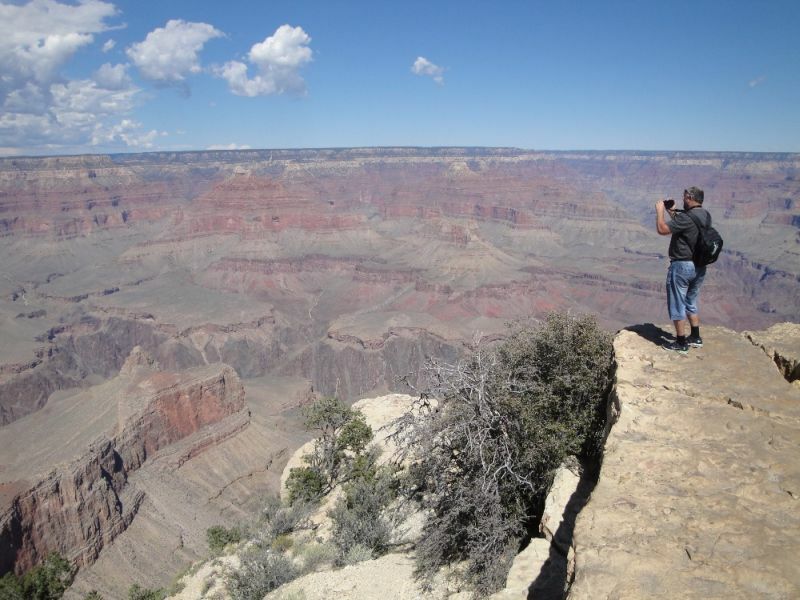 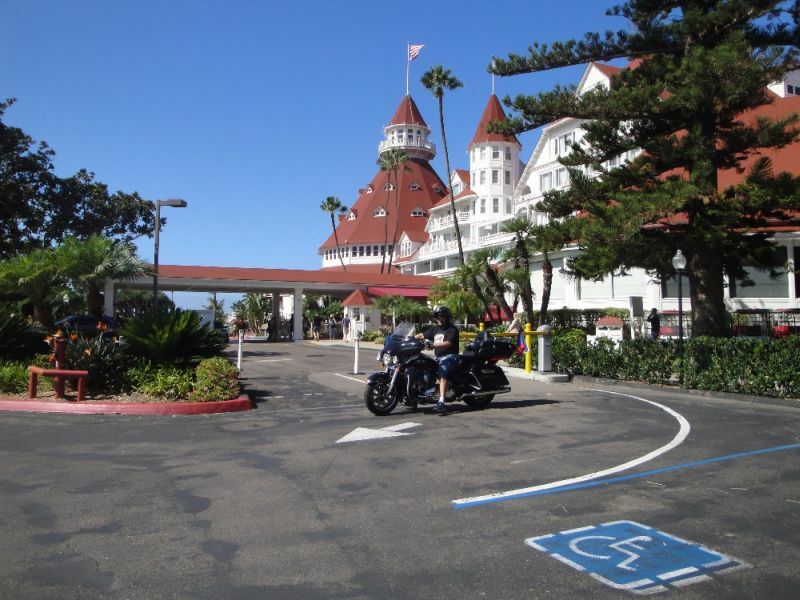 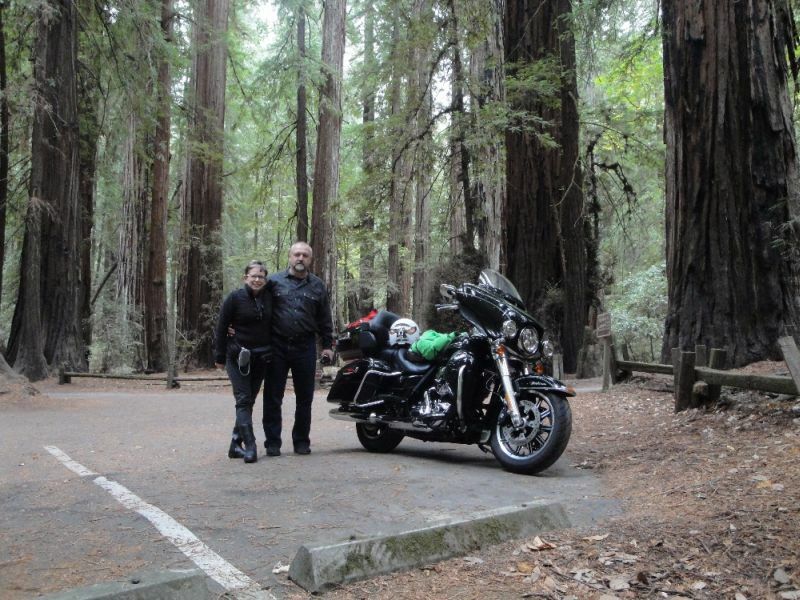 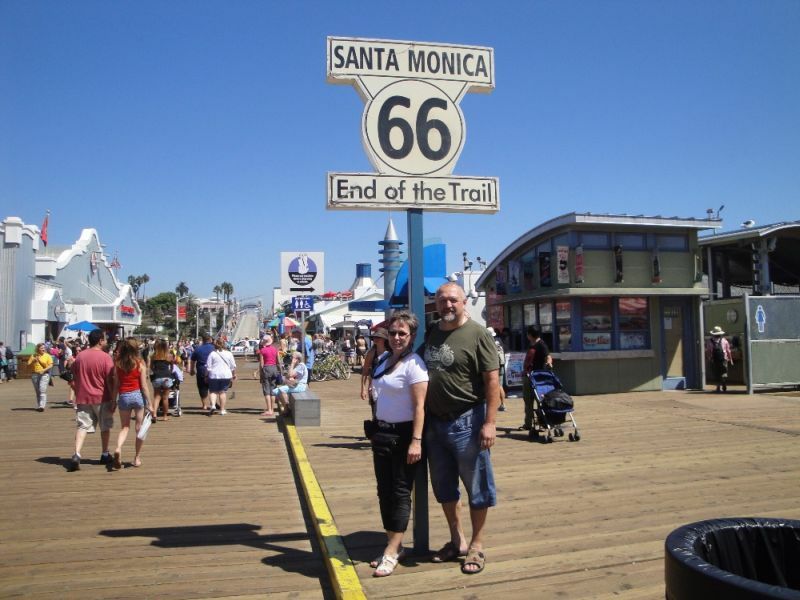 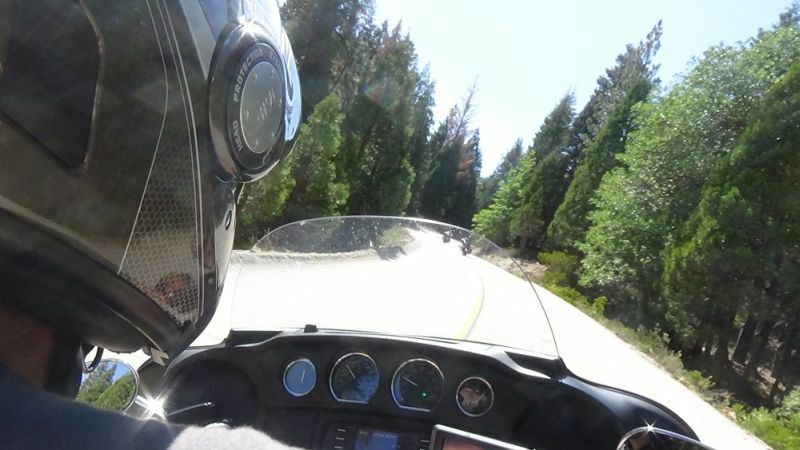 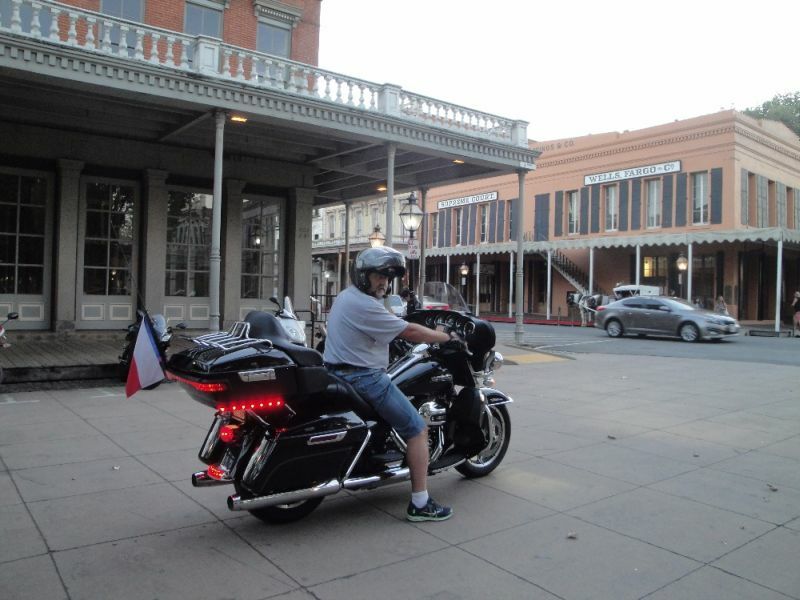 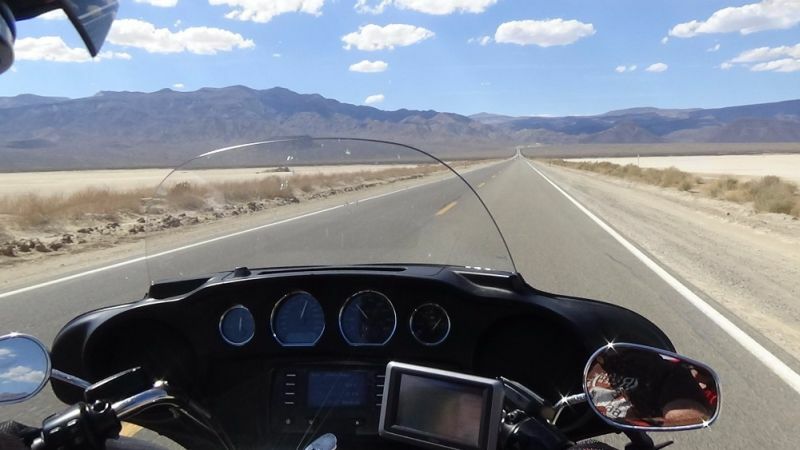 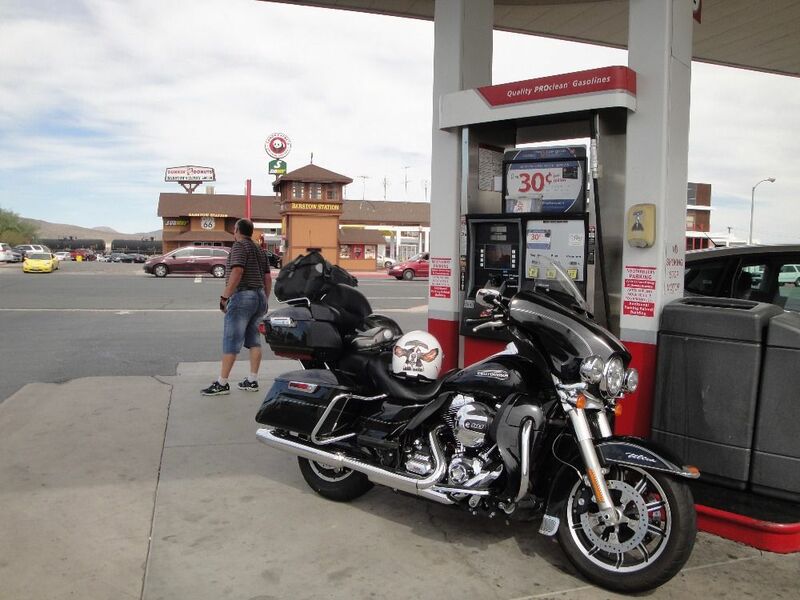 In September 2015 we made a big trip in west of USA for 3 weeks, and made our record of more than 6 thousand kilometers riding on Harley Davidson Electra Glide. 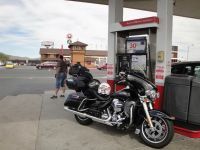 We visited californian coast highway nr.1, from San Francisco to San Diego, across deserts to Las Vegas to Grand Canyon, on Route 66 in Arizona, across Death Valley and South Sierra, National Parks Sequoia and Yosemite, ski region Mammoth Lakes, Lake Tahoe and back with stop in Sacramento for Basset Hound Club of America´s National Show to watch. 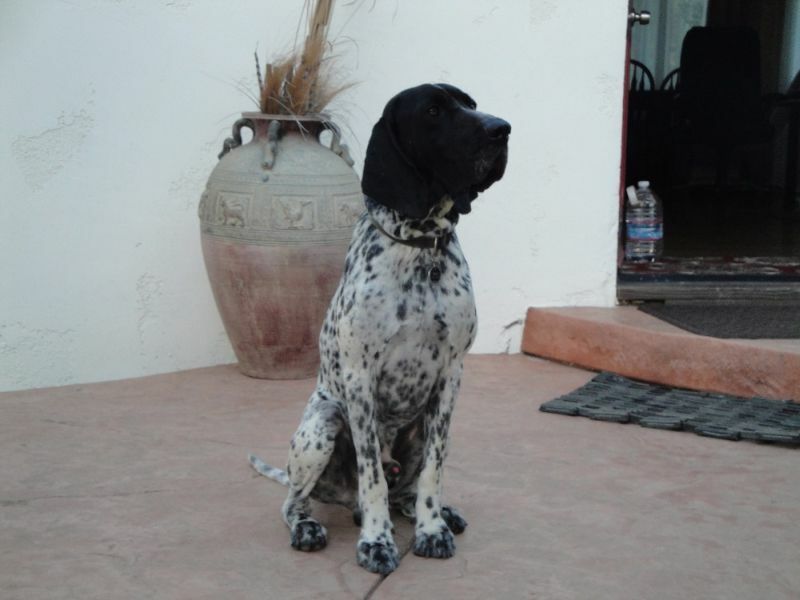 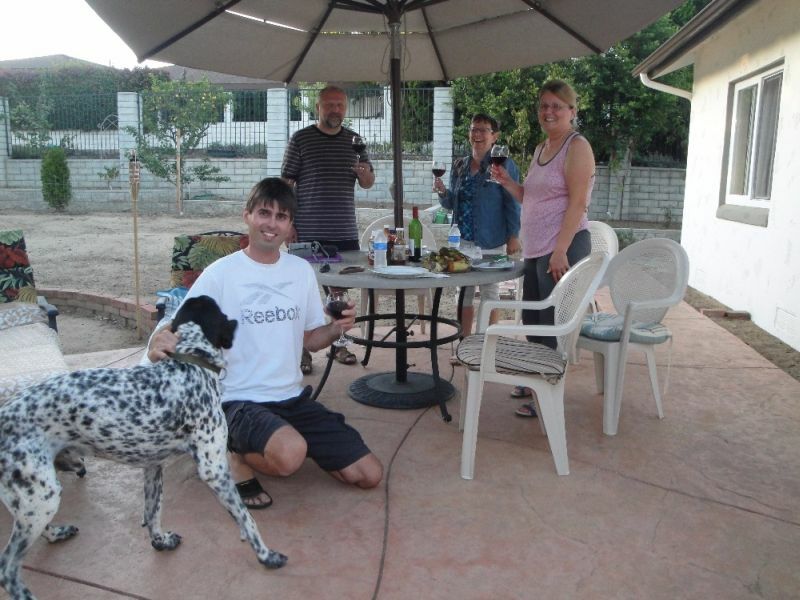 We also visited our "boy child" Braque d´Auvergne Balzac Bohemia Horrido, called Rex, who lives in Camarillo, California.